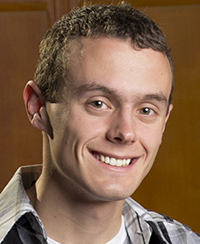 Patrick Salemme ’14 went to Mexico to make an impact on global health. Once he got there, his experience in Notre Dame’s College of Arts and Letters helped him determine how he could do the most good. Salemme, an anthropology and Arts and Letters pre-health major, deferred his entry into medical school in order to spend a year in Chiapas, Mexico—a mountainous, coffee-farming region where more than half the residents live below the poverty line. 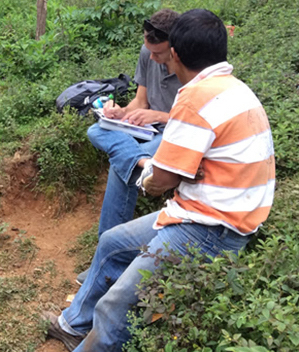 Through an International Development Fellowship established by Notre Dame’s Kellogg Institute for International Studies, he worked with Partners In Health affiliate Compañeros En Salud, which is building a primary health care model of excellence in order to assist with a community health worker research study. While he delayed his pursuit of an M.D. for a year, the experience solidified his plans for what he wants to do once he receives it. True health care, he said, goes beyond treating people for illnesses. It also involves understanding what made them sick, why they didn’t seek out care sooner, and what will compel or deter them from following treatment once they return home. During his junior year, Salemme studied abroad and used his fluent Spanish to shadow Mexican physicians and learn about the Mexican health care system. The following summer, he spent 10 weeks working in rural clinics and organizing medical campaigns with Vive Perú on a Kellogg summer internship. During the past year as an International Development Fellow, he trained community health workers, local women who make weekly visits to individuals diagnosed with chronic diseases. He also monitored and evaluated the quality of care offered in clinics staffed by PIH/CES physicians. So many people, he said, see CES as a “beacon of hope,” since it offers much-needed guidance through the health care process. Studying anthropology, he said, was crucial in preparing him to identify and understand how such treatment gaps develop. After he returns to the United States in June, Salemme will head to the University at Buffalo School of Medicine and Biomedical Sciences. He plans to continue working globally at times, but his experience also showed him that he can help improve the lives of the poor no matter where he ends up.